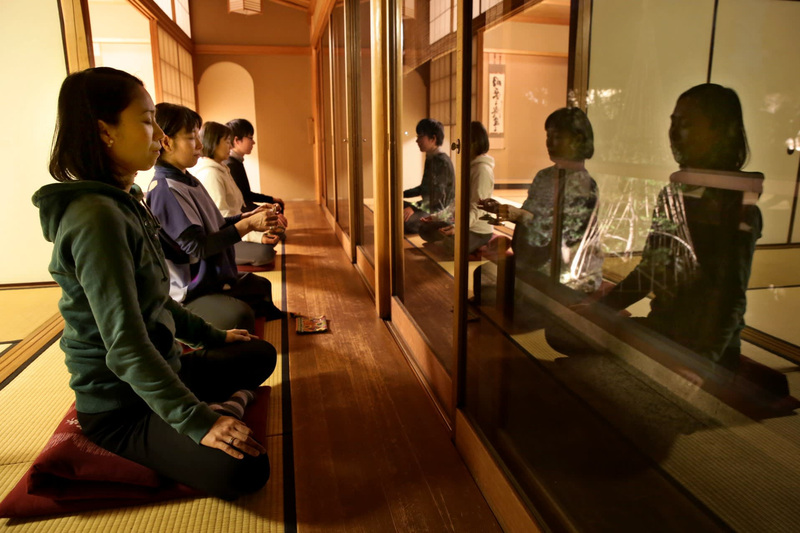 TOKYO — Aware that they may become irritated too often amid the demanding duties of work, household chores and child care, a growing number of Japanese women are seeking ways to relax and be more kind by participating in seminars focusing on a serene mind. At an introductory anger management seminar on a January weekend in Tokyo, participants were reminded that a fit of anger actually does not last very long, and that knowing this goes a long way in suppressing vitriol. “The peak of anger lasts six seconds at most. So you want to deal [with your anger] after you know you’re past that peak,” Kyoko Mabashi told the participants. The anger management movement, which started in the U.S. in the 1970s, aims to teach people how to manage anger in a positive way when necessary while suppressing the emotion when there is no need to fume. The movement has grown quickly in Japan in the past few years. According to the Japan Anger Management Association (Japan Chapter of NAMA), participants in its seminars has totaled over 180,000. “Biologically speaking, men are more prone to anger, and that’s why anger management seminars are basically for men in the U.S.,” said Shunsuke Ando, head of the association. “But in Japan, many participants are women in their 30s and 40s.” Currently, about 60% of the participants are women, he added. According to a survey by the Institute of Statistical Mathematics in Tokyo, about 70% of female respondents in their 20s to 40s said they had felt irritated in the past month, far exceeding the ratio for men. Mindfulness seminars are also becoming popular. It was 8 p.m., and the room was so quiet that participants’ breathing was audible. The ratio of men and women taking part in the association’s seminars is about equally split, Yamaguchi said. “In terms of female participants, we’re seeing a growing number of individuals in their 30s and 40s who have limited time for themselves due to the daily grind of work and child care,” she added. Mindfulness has recently been in the spotlight after Google introduced an internal training program on it. In Japan, it has grown in popularity quickly as it found its way into corporate training programs and yoga studios.